“Politics as Vocation” is One of Bill Clinton’s Very Favorite Books—But Our New Translation Doesn’t Have a Book Blurb! So I wrote Clinton at his office in New York to tell him about our new translation, to inquire about the possibility of getting a book blurb—admittedly an audacious request. Such favors, as Weber notes, are primarily for “table companions,” political Honoratioren,” and the other who whirl around the politician basking in power. I knew this well from translating Weber. But still it was a small request, and I hoped for at least a polite “no thanks” from one of his staffers. Then this week, the reason why I did not get a response to my emails—not even a courteous “no thanks” from a staffer—became more apparent. I do not pay to play. News stories of the last week highlight how much the Clintons ask to speak or consult. I don’t pay, so I guess, so no response. (Actually I do pay sometimes—earlier this year I paid $35 to publish a cartoon!) Anyway, should have listened more closely to the cynical Max Weber inside of me! But despite it all, I do indeed have some nice book blurbs, two from important Weber scholars, and a third one from an important political scientist. They all highly recommend our translation, and they did so simply as an academic courtesy to the publisher. Speaking of academic courtesy, here is a commentary that the Chancellor of Germany, Helmut Schmidt, once wrote about Weber’s essay, “Politics as Vocation”—he gave it as a speech to the Kant Congress in 1981 (in German). 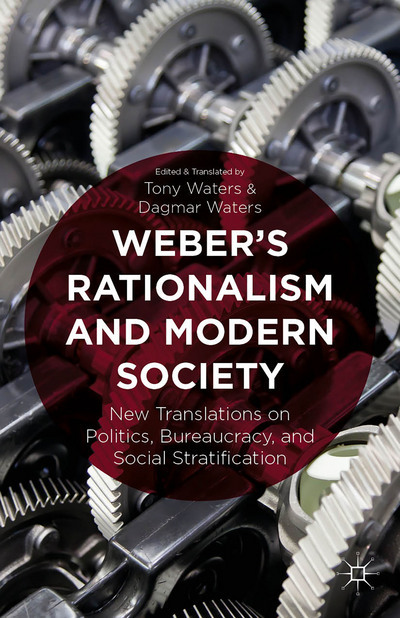 A sample chapter from our book Weber’s Rationalism is here. ‹ PreviousMy Mass Grave Rediscovered!